Goat maternity leave is our gift to the ladies, as we humbly acknowledge the circle of life, and the cycles they go through in order to perform at a happy and healthy optimum. Because not only are these ladies continuous supermums, they also commit themselves to the production and nourishment of us folk as they lend their beautiful milk for us to make into cheeses and devour with a smile. Like all other natural produce, living seasonally and harvesting locally means quality is at it’s best as farmers and suppliers take cues from the environment in regards to timing and ingredient selection. 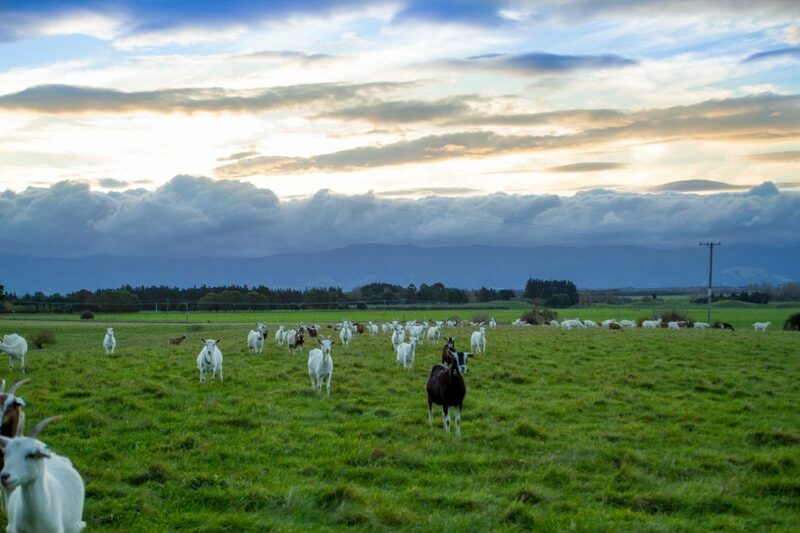 It also means there comes a time each year that specific produce and products will not be available – especially when the goats are free ranging and farmed naturally. As the colder weather sets in around autumn, the wetter, cooler temperatures and conditions drive the girls to stay indoors, but unlike us and our tendency to eat more food under the excuse of winter, these ladies often end up losing their appetite, which then contributes to the drying off of their cycle and therefore lessening milk supply.